And that’s a wrap, the atypically-long seventh console cycle has concluded. And what a turbulent trip it was between the Autumns of 2006 and 2013. In these seven years, we’ve seen massive consolidation within the AAA sector of industry, marked by a wave of studio closures and layoffs, resulting in the rise of the indie game and the burnout of trends such as plastic instruments. This change has fundamentally altered the way the gaming industry works from its core, the influx of ex-AAA developers and game school graduates and their experimental ideas has led to the flourishing of a new avant-garde facet to gaming. The explosion of casual gaming with the Wii and iOS has put to death the outdated, stereotyped notion of the “gamer” as the poorly socialized, unhygienic, teenage boy, and has connected players of games into a wide and all-welcoming community of play. And as a maker of games, this cycle is particularly interesting since it marks the point in which I crossed the threshold demarcating the separation between player and designer. This is a phenomenon that happens to artists from any medium: you see the ingredients that go into the sausage, and never see or enjoy it in the same way again. I can no longer “play” games, but rather I study them, deconstruct their systems, interconnected rings of feedback loops, intricately detailed and shaded texture bakes, systems of representation meaningful under only the right cognitive frame, systems of metacommunication, narrative delivery, metacommentary, the achievement of a win-state as an ideal condition that could be dangerously exploited to discourage playful experimentation within a possibility space. I can no longer enter that same magical state of investment that I experienced playing through the seminal Metroid Prime and can only appreciate and acknowledge the care and consideration poured into a game. To this extent, this list is incomplete and disjointed, as they represent two radically different points of view that I held in that seven year period. One is that wide-eyed sense of wonderment, the young teenager, discovering the joy of movement in Super Mario Galaxy and dancing through its cosmic obstacle courses. The other is that of the designer, studying The Last of Us and how its resource-management systems created a suffocating sense of disempowerment apropos to its post-apocalyptic narrative. It wasn’t easy choosing these twelve games, and I had to put aside great games like Minecraft, The Unfinished Swan, and Zelda: Skyward Sword, but here are those games that impacted my life, inspired me, and changed me in some significant way. None of these games are perfect, and many of them are glaringly flawed, but these are important because they’re important to me personally. Batman: Arkham Asylum was the first HD game that I had ever played, the first game I played on my Playstation 3, and was the best Metroid game that I played this generation. Structurally, the game revolves around traversing through a massive 3D environment. Players are limited in their mobility and access at the start of the game, and must explore the environment to acquire suit upgrades that would give them new methods of traversal, allowing them to access new areas that held ever more secrets, upgrades, and enemies. Structurally, its a game that’s easy to get lost in, every new item opens up a wide array of possibilities for exploration and combat. 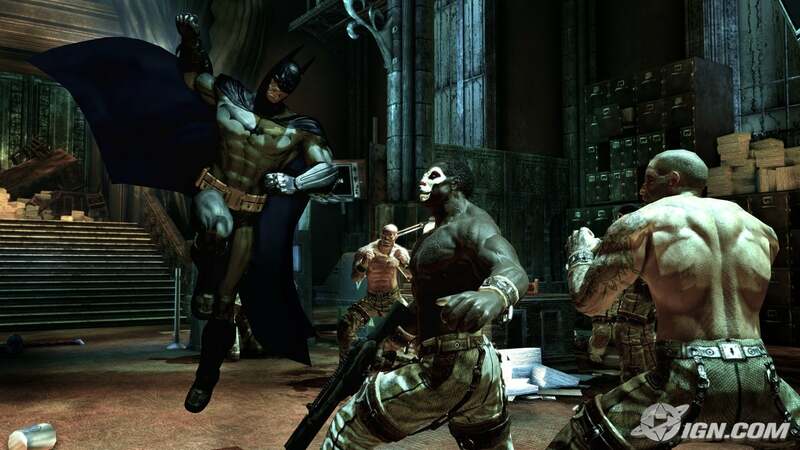 Batman: Arkham Asylum was special because it was a paragon of adaptation. And to speak of Arkham Asylum‘s combat is to do it an immense injustice. Hand-to-hand combat animates beautifully, turning fights against anonymous grunts into beautiful, brutal, dances of muscle, cape, and concrete. The simplistic, four-button system is simple to learn, but possesses a rhythmic flow between punches, stuns, dodges, and counters that make the system exciting to engage with. And those mechanics are only available if the player chooses to engage with enemies in that way: stealth is just as engaging and empowering system as brawling. Between hiding on gargoyles, pouncing on enemies, setting up explosive traps, or pulling them into air ducts by distracting them with a batarang, acting as a silent predator is as empowering as you’d expect it to be. The visible terror that enemies exhibit feeds a visceral, sadistic thrill seen only in other, more morally problematic games. These mechanics all lend the game an authenticity to the source material unseen in myriad other licensed games. And that’s to say nothing of Arkham Asylum’s representational elements. Arkham Asylum is a veritable encyclopedia of Batman lore, and villains from Zsasz to Scarecrow will confront Batman. The Riddler also brings a hidden-object aspect to the game, challenging Batman to find an object in each room of the facility that relates to some of the most obscure Batman lore out there. Kevin Conroy and the ubiquitous Mark Hamill, who voiced Batman and the Joker in Justice League and the 1990s animated series, lend their talent to the game. Simply put, Arkham Asylum works well as an paragon of adaptation, effortlessly translating the verbs, nouns, and adjectives of Batman’s print and screen presence to an interactive medium. One thing that’s problematic when designing co-operative or team-based games is making each player feel like his/her contributions matter to the team. If a player feels useless, or worse, a liability to the team, then a game is poorly balanced and heavily problematic. This is a huge issue facing Dungeon Masters of Dungeons & Dragons games, as rule-exploiting power-gamers can easily ruin the game for players less interested in the simulation of combat, reducing their feeling of agency and potency. Shooters like Call of Duty and Battlefield suffer from this issue too, as negative feedback systems reward the other team for getting kills, thereby placing a large, team-affecting punishment for death. To this extent, many competitive team-based games fail at this aspect of design, and end up creating hostile communities that leave newbies no place to start. Team Fortress 2 was special because it possessed a sense of unity and cooperation unique amongst other shooters. This isn’t a problem for Team Fortress 2 however, and just by simply playing their role in the battlefield, even at an adequate level, players feel like they’re making important, game-changing contributions to the success of their team. This all stems from the design of Team Fortress 2′s nine player classes, their movement speed, weapons, and skills effectively restrict their abilities to only one mode of play, lending each class a design affordance that makes their particular role on a team obvious. Play as the Pyro and your role on the team is made immediately obvious from his small size, short-ranged splash attack, and the tendency of other players to back away from him. Conversely, the Spy’s abilities and weapons restrict his efficacy to stealth, placing in his hands the daunting task of sneaking behind enemy lines and breaking their defensive strategies. The interplay of these diverse classes create an incredibly deep and accessible tactical shooter, creating an unparalleled sense of unity and cohesion during play, culminating in the cathartic thrill of victory, feeling satisfied with the knowledge that you played an integral part in achieving that win. Star Wars and Star Trek came before my time, and I missed Firefly when it was originally aired, so growing up, I had no epic space-opera to anoint as part of my upbringing, but Mass Effect works as a nice substitute. Simultaneously a pastiche of every beloved science fiction franchise ever and a wildly original, extremely imaginative series of its own, Mass Effect welcomed me into an intricately textured and wonderfully flavorful universe filled with strange creatures and memorable worlds, which served as the ideal setting for a traditional monomythic adventure. Mass Effect 2 was special because it was simultaneously giddily-imaginative, and a pastiche of every great science fiction adventure before it. There’s a race of colossal aliens called the Reapers who visit the Milky Way every 50,000 years, annihilating all sentient life on their way. Commander Shepard discovers their existence in a vision that she had while examining an ancient artifact on Eden Prime, and must convince the Council of their existence. On the way, her ship is destroyed by a massive, insectoid ship but she is saved by the Human Supremacist organization Cerberus, and sent to explore the galaxy gathering allies to discover the secrets of that mysterious ship and its occupants. This compelling premise is made interesting by the diverse range of characters that Shepard comes across on her journey. While not every one may be inherently likable, it is impossible to come away from an interaction with a character without having formed a solid opinion about them. As Shepard expands her crew, she must deal with racial and ideological conflicts amongst them, testing the player’s leadership and decision-making skills. The core mechanic of the Mass Effect games is talking, which is only fun when deployed with interesting characters, and Mass Effect 2 delivers them in droves. Who can forget Garrus’s darkly justified vigilantism, or how under Mordin’s hyperactive, geeky exterior lived guilty conscience over letting genocide happen. In Mass Effect 2, player’s behavior affects characters and changes them fundamentally, encouraging them to grow or change through one’s leadership style allows for some of the most engaging role-playing seen this generation. When the player escapes his execution and leaves the opening dungeon in Skyrim, he is hit with the jarring realization of the sheer enormity of the game’s possibility space. While the game privileges violent play styles with a substantial amount of combat mechanics and equipment, the variety of hats the player can wear with those core mechanics makes for very engaging role-playing. With the right character builds, Skyrim can be anything from a stealth game about infiltrating wealthy houses and making off with valuable loot to sell to the poor, to a Harvest Moon-esque farming simulator, to a mountain-climbing action game. While the game is indeed content heavy in terms of potential questlines and scripted set-pieces, Skyrim‘s rules create a wide-open sandbox for playful experimentation and exploration. Skyrim was special because its structure promoted playful experimentation and exploration within its virtual space. The vastness of the possibility space make Skyrim the perfect game of abnegation. 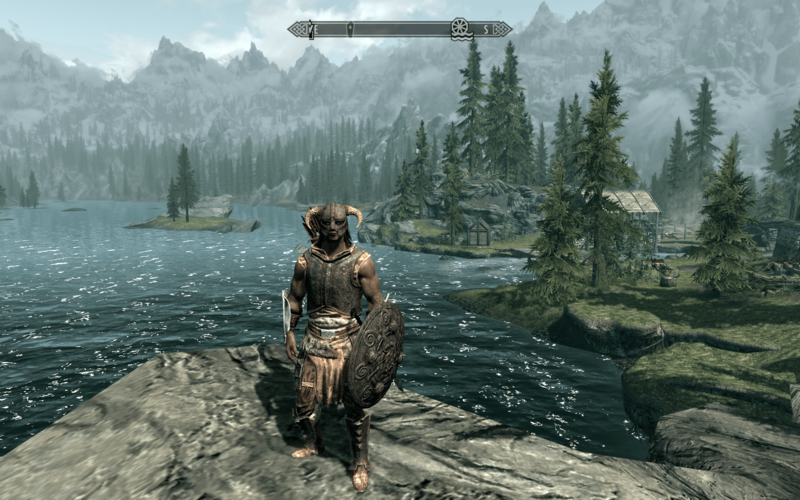 For the past year, Skyrim has been my go-to game for times when I’m too sick or tired to invest myself in anything more complex. Raid a dungeon, hunt some monsters, fight crime or cause it, explore the sandbox and play with its rules and constraints for as long or short a time as you want. Whatever you do, you’ll probably discover something interesting to have fun with, like cabbages. Super Smash Bros. is a social ritual, to be performed every other Friday afternoon in the company of new friends. Observe how they play, and learn something about that person: “Where did he play this game before?”, “What kind of people did he play this game with?”, “Were they his friends? Are they still now?”, “What did they teach him? How may he be similar or different to me?”. 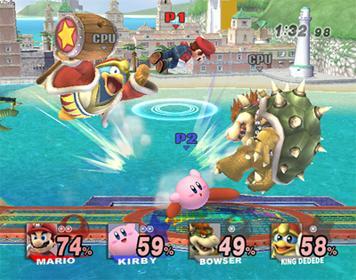 Super Smash Bros. Brawl was special because it was universally adored and understood by nearly everyone I met. I’ve met gamers from places as diverse as Colorado to Ecuador, and almost all of them have played Super Smash Bros, imparting their distinct choices of moves, characters, and strategies into every match I’ve shared with them. “Why is my opponent playing so aggressively as Ike? Did the friends that he played with back home always resort to the same craven defensive tactics?” “Why does this player insist on spamming bombs as Link? Why would he so cowardly attack from afar whilst avoiding actual confrontation?” The language and play of this game is almost universal, and the context in which Super Smash Bros. is played at home informs people’s playstyles, and the exchange of blows between players from different families, different communities, and different cultures exhibits the sheer diversity of mentalities that players bring into Smash Bros.‘s magic circle, and acts as a testament to the depth contained in this simple, cartoony party game. The first thing I found remarkable about World of Goo was the story behind it. Two guys made this game! They barely had any funding! Their office was whatever free wi-fi coffeeshop they’d walk into that day! 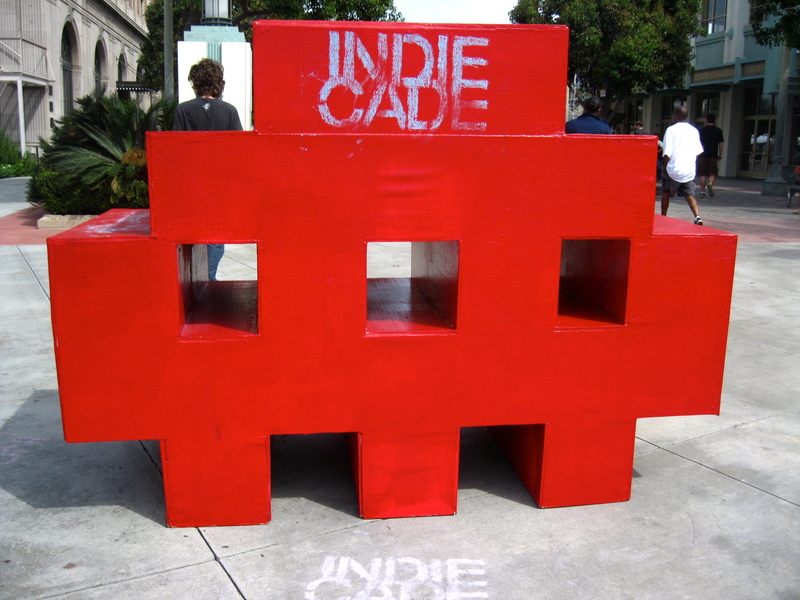 All of a sudden, video games, these monolithic electronic products made by megalithic corporations you’d hear about in the Wall Street Journal, had indies. To my 14-year old mind at the time, the thought was mind-boggling: people made games. These weren’t companies with knowledge of the arcane, recondite, secrets of the Wii and a relationship with Nintendo arranged by armies of lawyers, but people, individuals that I could become like. If they could make a successful game on their own, what was there to stop me from doing the same? Soon afterwards, I began researching. I read articles, books, postmortems, reviews, anything I could get my hands on, and in time, I began writing. I started doing reviews and opinion pieces on my own blog and the school newspaper about games, and in a little corner of my computer, I began writing and sketching together documents and maps for my own game. World of Goo was special because it taught me that anyone could make games. And that’s to speak only of its development story and the impact it had on me as a person. 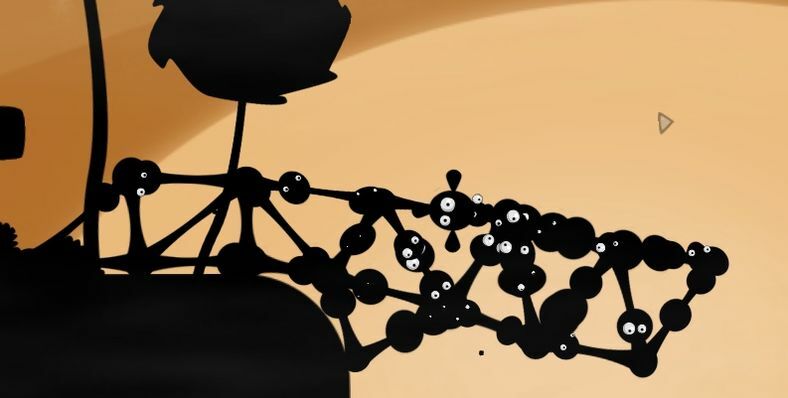 World of Goo is a fantastic puzzle game with a cute, yet, forlorn and lonely aesthetic. Players construct structures out of goo balls in an attempt to bridge one part of the level to the other, while having enough goo balls left to complete the level and its OCD objective. The physics-based mechanics encourage experimentation with the properties of each kind of goo ball, and combining them in creative ways creates a Portal-like sense of trial-and-error characteristic of the very best linear puzzle games. Come back again tomorrow for the rest of the list. EDIT: Wrote up a draft of the post, Evernote account broke, lost all that text. Post will be delayed. Come back next week.